The earliest Thanksgiving events were held in the British Colonies, at present day Berkeley Plantation in Virginia in 1619 and at Plymouth in present day Massachusetts in 1621. On December 4, 1619, a group of 38 English settlers arrived at Berkeley Hundred on the north bank of the James River about 20 miles upstream from Jamestown, where the first permanent settlement of the Colony of Virginia was established on May 14, 1607. The group's charter required that the day of arrival be observed yearly as a "day of thanksgiving" to God. On that first day, Captain John Woodleaf held the service of thanksgiving. Plymouth Colony in Massachusetts were particularly grateful to Squanto, the Native American and former British slave who taught them how to both catch eel and grow corn and also served as their native interpreter. Without Squanto's assistance, the settlers might not have survived in the New World. 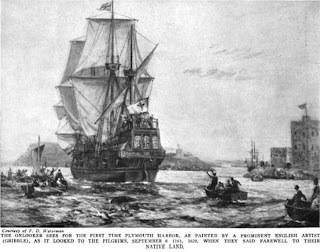 The Plymouth settlers (who came to be called "Pilgrims") set apart a holiday immediately after their first harvest in 1621. They held an autumn celebration of food, feasting, and praising God. The Governor of Plymouth invited Grand Sachem Massasoit and the Wampanoag people to join them in the feast. Evidence to support that claim came from diaries of Plymouth. The settlers fed and entertained the Native Americans for three days, at which point some of the Native Americans went into the forest, killed 5 deer, and gave them to the Governor as a gift. Thanksgiving meals are traditionally family events where certain kinds of food are served. First and foremost, turkey is the featured item in most Thanksgiving feasts (so much so that Thanksgiving is sometimes facetiously referred to as "Turkey Day"). Stuffing, mashed potatoes with gravy, sweet potatoes, cranberry sauce, corn, turnips, rolls, pecan pie, and pumpkin pie are commonly associated with Thanksgiving dinner.